Q: May I keep my keys when I park? We are the only airport parking lot that offers the self-park option. Park & Jet provides "Trunk to Trunk" service whereby we pick you up at your vehicle, take you to the airport, pick you up upon your return, and bring you back to your vehicle. This means that you can lock your vehicle and hold onto your keys when you depart for your trip. You will have the peace of mind knowing that your vehicle is in a secure, fenced, and manned lot. When you return, our fast and free shuttle drops you directly at your vehicle so you can jump right in and get on your way. No walking at all! 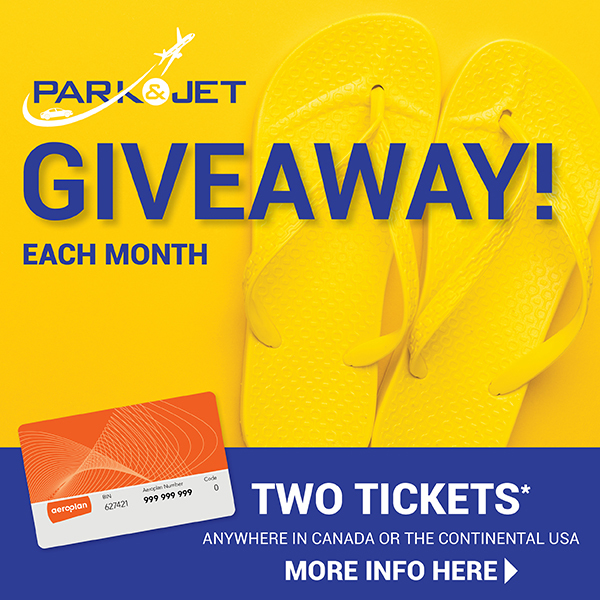 Q: What else does Park & Jet offer? Easy Access: We are located conveniently at 2222 Airport Ave NE, directly on airport property. Trunk-to-Trunk Service: No long walks through deserted parking lots. Discount available for all customers carrying their Automobile Association card. Please have your card with you to swipe before you pay. 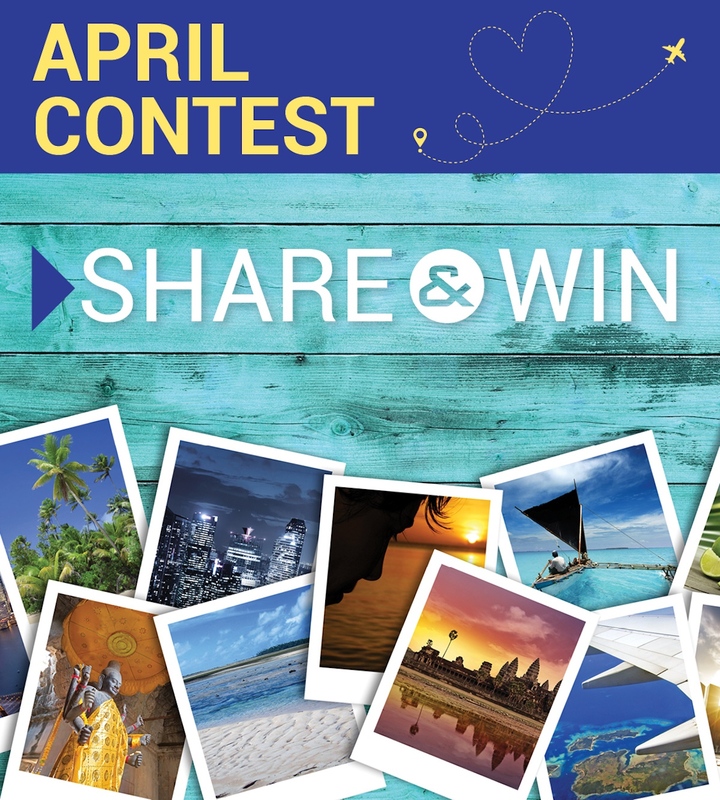 Collect Aeroplan Miles: Visit our Aeroplan Promotion page for more information. Plug-ins (subject to availability and you must have your own extension cord). Complimentary boosting services upon availability. We have served over 1 million customers, and we seek to provide unparalleled customer service. Q: How do I "Park & Jet"? STEP 1. When you arrive at Park & Jet, please take a ticket from the automated ticket dispenser. The electronic display will direct you to the row you'll park your vehicle in. STEP 2. Follow the clearly marked signs to your parking row. STEP 3. One of our courtesy shuttle buses will then pick you up at your vehicle and drop you off at your appropriate departure door. You don't have to walk with your luggage or heavy bags. Park & Jet is fast, easy, and convenient. Q: When does the shuttle run? You may pay by cash, travellers cheques, debit card, or any major credit card. Use our express exit lanes, and simply swipe your card. Collect your AEROPLAN MILES or receive a discount with any Automobile Association Card. If you do need any assistance or prefer to pay at the pay booth, Park & Jet has a cashier at the pay booth 24 hours a day. Q: Do you guarantee parking spaces if I make a reservation? If you have a reservation, we will guarantee you a place to park. Make your Online Reservation now! Subscribe to our newsletter to receive our Monthly News & Specials directly to your inbox. 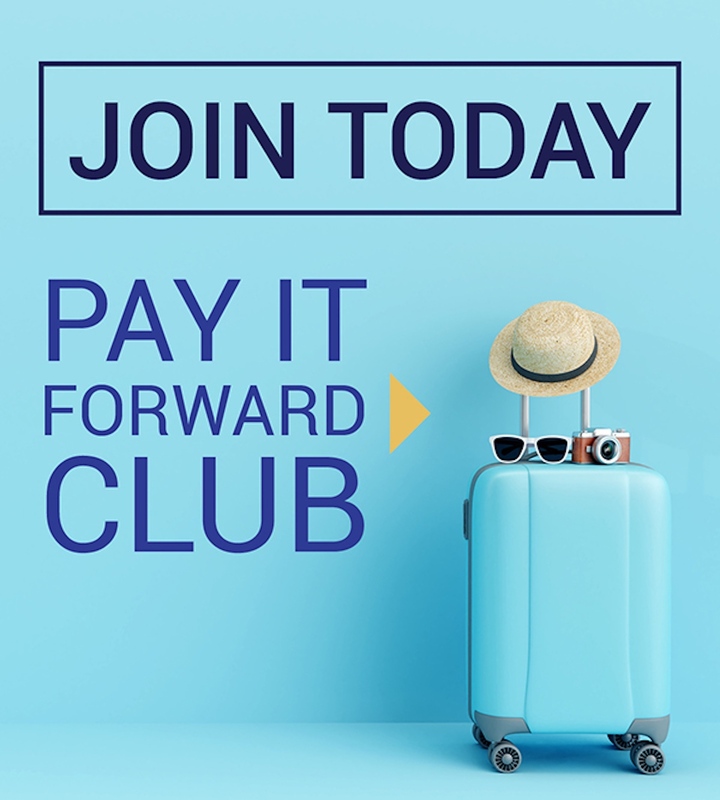 You can subscribe by joining the Pay It Forward Club!